The ski resort of Méribel lies in the Les Allues Valley at the centre of the world’s largest ski area, les Trois Vallees, giving access to over 600km of piste and unlimited off-piste. As well as the two main resorts, Méribel and Méribel-Mottaret, the valley also includes a number of traditional villages. Together they form one of the most popular destinations for British skiers. founded by British Colonel, Peter Lindsay, in 1938. Sierra Lodge is a new chalet completed in December 2017. Its location in Les Allues could not be better. Opposite the shops, close to the bus stop and 450m from the telecabine. This chalet accommodation is over three floors with the living area under the high eaves of the roof giving it a light and spacious feel. Space, comfort and a fantastic location says it all about this apartment which is situated 50m up the piste from the main lift centre at the Chaudanne. Chalet La Montee is ideally situated only a few minutes walk from the main Chaudanne lifts and ski schools, as well as the shops and restaurants in Meribel centre. The chalet has been completely refurbished and now comfortably sleeps 12 with 6 bedrooms and 5 luxury bathrooms over three floors. This stunning apartment in the new LaSuite building is situated on Route de la Montée, 40m from the Tourist Office piste access, and in an unbeatable position right in the centre of Méribel. This apartment in a small chalet style building enjoys a wonderful position in the original part of the village just a minute walk from the lift. The Jardin d'Hiver is located just next to the Morel chairlift on the Hulotte piste, within a few minutes of the local ski shop, bars and restaurants. This first floor duplex apartment is ideal for either two families or a mixed group. This is one of two apartments available for rental in the Jardin d'Hiver building. The Jardin d'Hiver is located just next to the Morel chairlift at Méribel 1600 on the Hulotte piste, within a few minutes of the local ski shop, bars and restaurants. This ground floor apartment is very well appointed and offers excellent flexibility with sleeping arrangements for up to eight people. This is one of two apartments available for rental in the Jardin d'Hiver building. This is one of two exceptional apartments in the Saulire block which is available for rental. Both apartments - Saulire 1 and Saulire 4 enjoy high standards of decoration and finish. The apartments are located within a few minutes walk of the Morel chairlift. The local facilities - Spar shop, ski shops, bar and restaurant as well as easy access to the town centre by bus, make Méribel 1600 a popular choice for many skiers. The Jardin d'Eden is a delightfully designed chalet-style building. It is located just behind the Morel chairlift at Méribel 1600, within a few minutes walk from the local ski shop, bar and restaurant. This charming duplex apartment is on the first and second floors. Chalet Les Cigales is a rare opportunity to rent a free-standing chalet in Méribel. Situated on a hillside in the lower part of Altitude 1600, Chalet les Cigales has rustic charm and enjoys wonderful views across the Meribel valley and has easy access to the Morel chairlift and Hulotte piste. This is one of two exceptional apartments in the Saulire block which is available for rental. Both apartments - Saulire 1 and Saulire 4 enjoy high standards of decoration and finish. The apartments are located within a few minutes' walk of the Morel chairlift. The local facilities - Spar shop, ski shops, bar and restaurant as well as easy access to the town centre by bus, make Méribel 1600 a popular choice for many skiers. The Altiport is one of the most beautiful parts of Méribel, but remains relatively unknown. Set in the woods above the rest of the resort, this area is a tranquil haven ideal for those who want to get away from it all. The chalet style buildings open directly onto the beginner runs and there is fast access to more challenging skiing via high speed chairlifts. The Chardon Bleu building is situated on Route de la Montée, 50m from the Tourist Office piste access, and in an unbeatable position right in the centre of Méribel. The Glaciers 5 is in fact two apartments combined creating a large four bedroom ski apartment with a fantastic location in Meribel town centre just minutes from the piste. Cybele 21 is located in the Chalets les Cybele building between Mussillon and Méribel Centre and benefits from a shortcut path for easy access to the town centre. This quiet top floor duplex apartment has been stylishly decorated and provides flexible accommodation for up to 8 people. 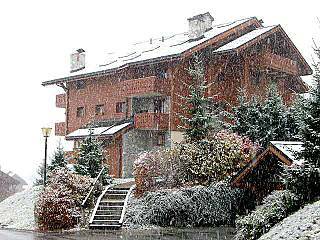 Les Soldanelles is in a prime location right in the centre of Meribel, minutes walk from the piste access next to the Tourist Office. The apartment is comfortable and very well equipped. Les Soldanelles is located right in the centre of Méribel, minutes' walk from the piste by the Tourist Office. The apartment is new to AMSRentals for this winter and is one of two apartments available in this building. This stylish first floor apartment in the exclusive Sabot de Vénus building is located at Méribel's Rond-Point des Pistes. There are a number of bars, restaurants and a ski shop in the immediate vicinity. 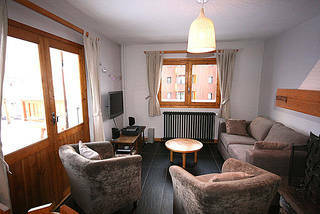 A few minutes' walk from Les Allues this delightful one bedroom apartment is ideal for a couple. The apartment is situated between Les Allues and Le Villard,a few minutes' walk from the centre of Les Allues. It has excellent views both up the Méribel valley towards the Saulire and Mont Vallon as well as down the Bozel valley. They say that a good ski apartment only needs three things, location, location & location. Located minutes' walk from the centre of Meribel and close to the piste that runs into the Chaudanne. The apartment is easily accessed by car. The location of this apartment could not be better; next door to the Grand Coeur Hotel in the heart of Méribel. You can ski to the back door, and the town centre shops are only minutes away. This apartment is generously sized and well-decorated. It is split over three levels, with a ladder providing access to a large family room under the eaves. The main living area is spacious and comfortable with a log fire creating that traditional Alpine atmosphere.